H-D of Indianapolis’ history begins back in 1976. Picture this: Gerald Ford was the president; “One Flew Over the Cockoo’s Nest” won Best Picture at the Academy Awards; “Send in the Clowns” by Stephen Sondheim was Song of the Year; and the Dellen Automotive Family took its first step into the world of motorcycle sales. For thirty five years, Harley-Davidson of Indianapolis has been a family-owned business. One of the leading dealers in the Midwest, they take pride in ‘going the extra mile’ to provide the best possible experience for their customers and it shows. To keep customers loyal, H-D of Indianapolis knows the importance of giving their customers compelling reasons to come back time and time again. This is especially important for a Midwest dealership in the 4th quarter and H-D of Indianapolis has put a plan in place to stay in front of their buying base during this critical time with a Halloween, Black Friday and 12 Days of Christmas Campaign. Between Halloween and Christmas, the average American household will spend more than 70% of their entire annual discretionary budget in those few short weeks. Where is that money going? Retail. Good news: We’re in the retail business! Billions of dollars are going to be spent online, at the malls and the big box stores. It’s your job to capture as much of that wallet share as possible. These guys are executing a consistent marketing plan to hit their buying base 52-104 times per year and in the process, they are increasing frequency of visits from past and present customers to impact retention and carve off new market share. By utilizing up to 12 multiple direct marketing channels per campaign, they’re guaranteeing their message is delivered several times, staying ‘top of mind’ with every real opportunity they have to sell a bike in their market area. As they continue to ‘warm up’ their buying base, they’re increasing traffic, leads and ultimately their ROI. 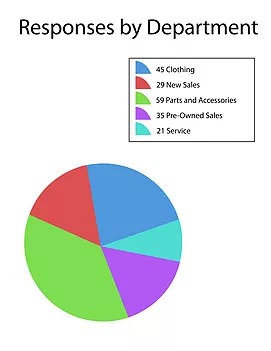 Their last event on September 26th resulted in 253 people completing the survey, which included a total of 125 sales opportunities in Service, P&A and riding gear and 64 responses interested in getting a bike! 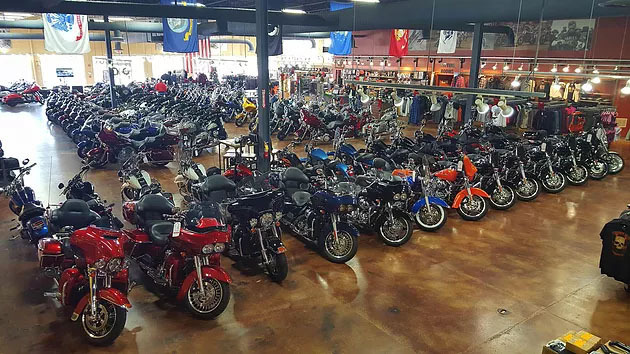 Despite not having the perfect weather, David Dellen, owner of H-D of Indianapolis said traffic was great and sales were up in all departments with several additional motorcycle deals working. Their holiday kickoff starts with a Halloween event, then the store will be gearing up for a Black Friday/Blacker Saturday Event and a 12 Days of Christmas Event. Think you can’t beat the big box stores at their own game? You’re right. Trying to compete with the millions being spent over the airwaves and in print is, to quote Kenny Wayne Shepard, “blue on black, tears on a river, a whisper on a scream.” But, if you cut through the clutter and go direct to your buying base with several, compelling reasons to tell you who they are and what they want to buy from you, you can beat them. Don’t miss this opportunity to make a huge impact in your 4th quarter numbers. Check out the inserts for a few proven winners. 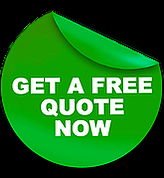 To have Powersports Marketing build your dealership’s Buying Base and put a plan in place to hit them consistently for FREE, call me on my direct line at 877-242-4472 ext: 112 or chat us up at powersportsmarketing.com. Happy selling.